We are a reckoned Manufacturer and Supplier of Melamine Edge Banding Boards. The Banding Boards that we deal is suitable for all the Boards. We can make available a perfect match for your furniture of any color or style. 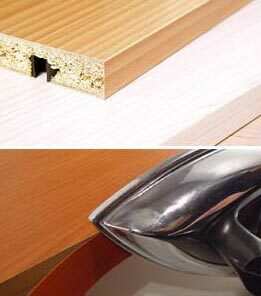 We can also provide pre-glued Melamine Edge Banding Boards to all our worthy buyers. Be it small or bulk order, we are focused to deliver the same well in time.